Anatomy is the branch of science concerned with the bodily structure of humans, animals and other living organisms. floor of the BUMDC building. 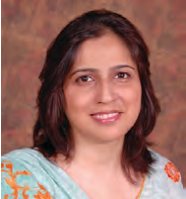 It comprises of well trained and experienced postgraduate faculty members. The department consists of an air-conditioned museum. The museum has a variety of plastic models which have been procured from Germany. 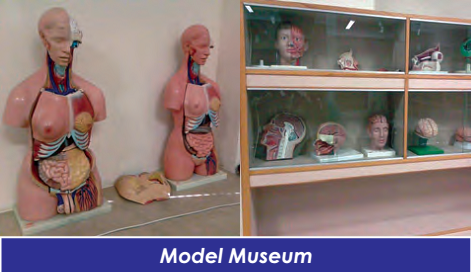 These models depict human body structures and the students can use these teaching aids to learn and enhance their knowledge in the subject of Anatomy. large mortuary which can accommodate more than six cadavers. Human cadavers are available for dissection purpose. 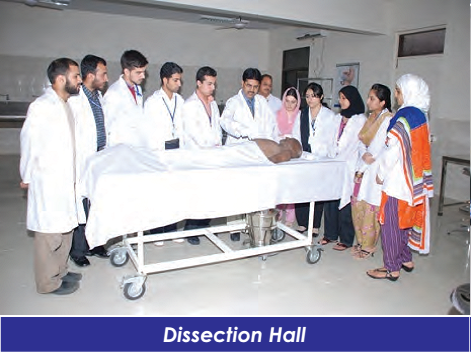 Students are encouraged to do dissection in order to increase their psychosomatic skills. imported Carolina series of slide boxes. The lab is equipped with a latest multi-head microscope which is connected with a closed circuit camera so that slide images can be projected on a wall mounted 36 inch LCD monitor. A micro technique section is also present where tissues are processed for preparation of slides. 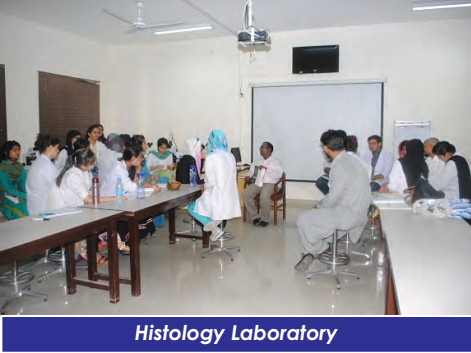 All the laboratories are equipped with multimedia / OHPS etc. sciences subjects. Interactive lectures, case base discussions, problem based learning and structured practical sessions are some of the teaching strategies used to help students, learn and acquire skills.